If you’ve had any experience with installing Google Sitemap Generator on a Cpanel/WHM based server then you may have run into an issue where port 8181 is not accessible. Even if you modify iptables rules, it seems to go back to blocked after a while. If your WHM setup is utilizing CSF, then you may need to add the exception via WHM. 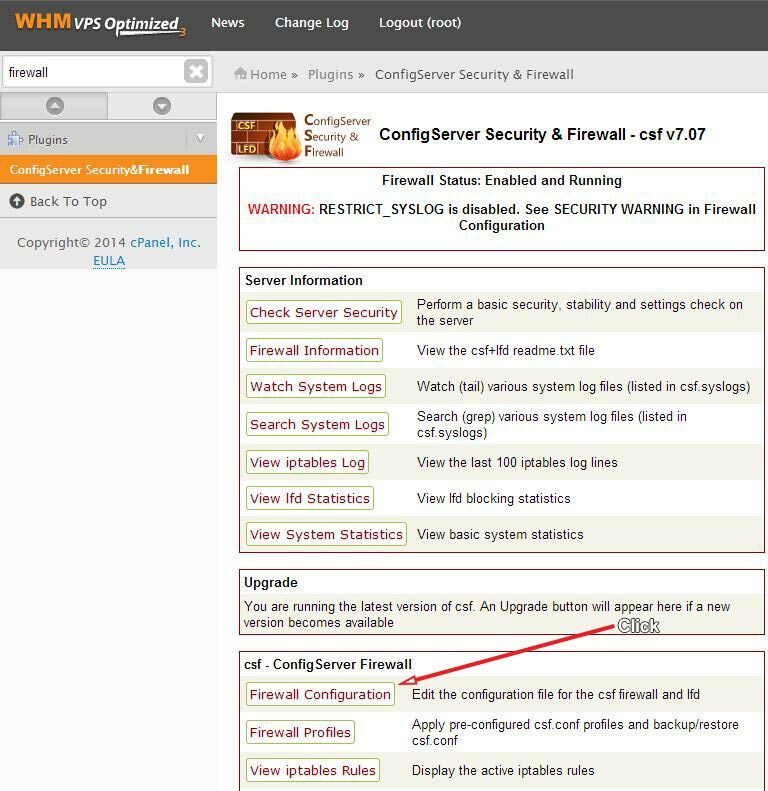 Locate the CSF configuration section, and then click on Firewall Configuration. Then find the IP4 (and IPv6 settings if needed) settings, and add 8181 to the list of ports allowed in for TCP Inbound. Once done, you can save and restart CSF. From then on, you should be able to access your Google Sitemap control panel on port 8181.